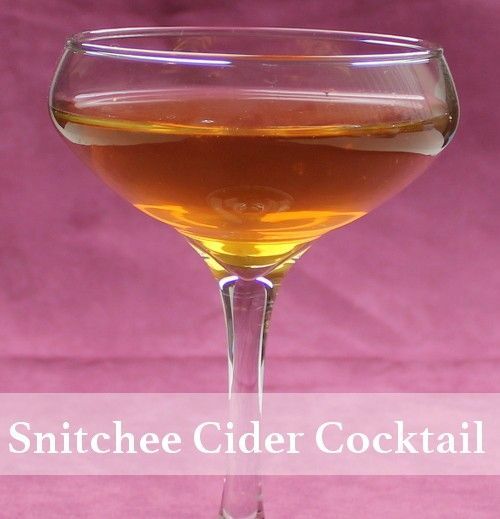 Snitchee’s Cider is basically a spiced apple cider with strong notes of cinnamon. The spiced rum adds a nice kick, but there’s so much apple cider that it lessens the effects of the alcohol, making this a somewhat light drink. This drink is great for parties – just make a pitcher in advance and keep it in the refrigerator. Fill a mixing glass with crushed ice. Pour in the ingredients, including the cinnamon stick, and stir well. Strain the mixture into the glass of your choice. Optionally garnish with a dry cinnamon stick.